As one review hinted at, on this show we don’t pick the expected but rather what WE feel is worthy of a spotlight and the time has come for a new subject. His name is David Chiang. 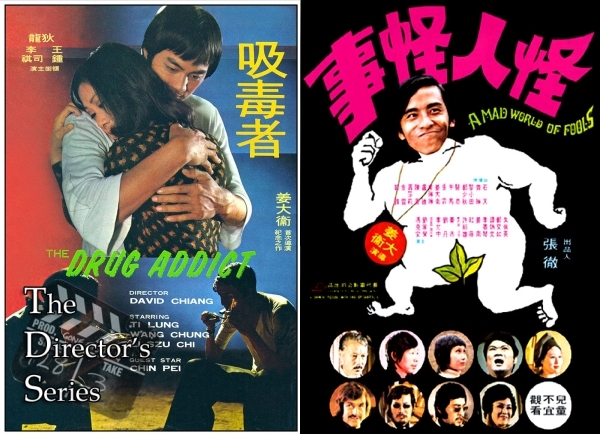 Yes, martial arts action superstar had a directing career so follow Kenny B and Tom K-W as we open up a new Director’s Series on David Chiang’s The Drug Addicts and A Mad World Of Fools.